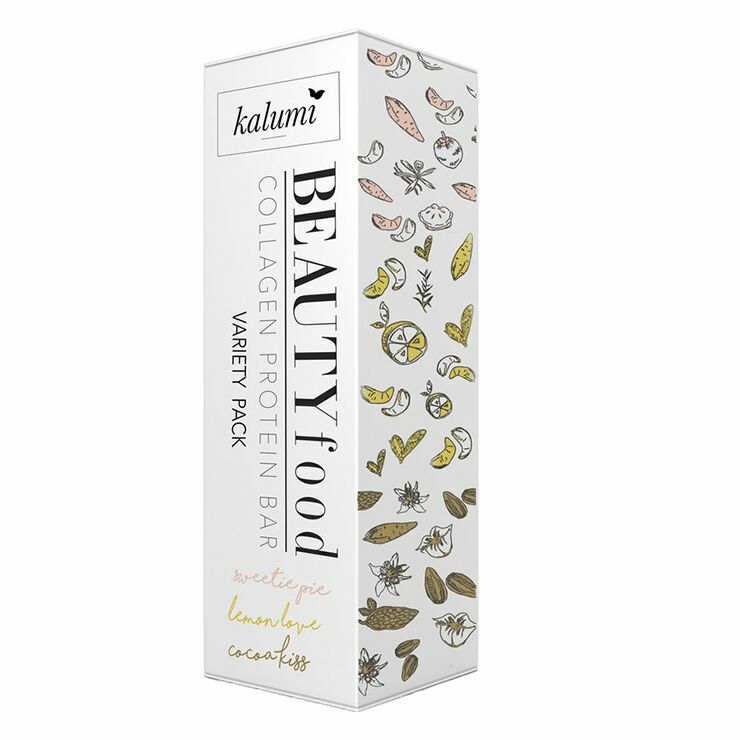 Try the entire delicious line of Kalumi Beauty Marine Collagen Bars with this convenient variety pack. The box includes one each of Lemon Love, Sweetie Pie, and Cocoa Kiss Marine Collagen Bars. Marine collagen makes skin feel hydrated and combats the appearance of aging and uneven skin tone. These beauty bars make an ideal breakfast or snack, and are perfectly packable. Get in on the goodness, pick up a variety pack or two today! 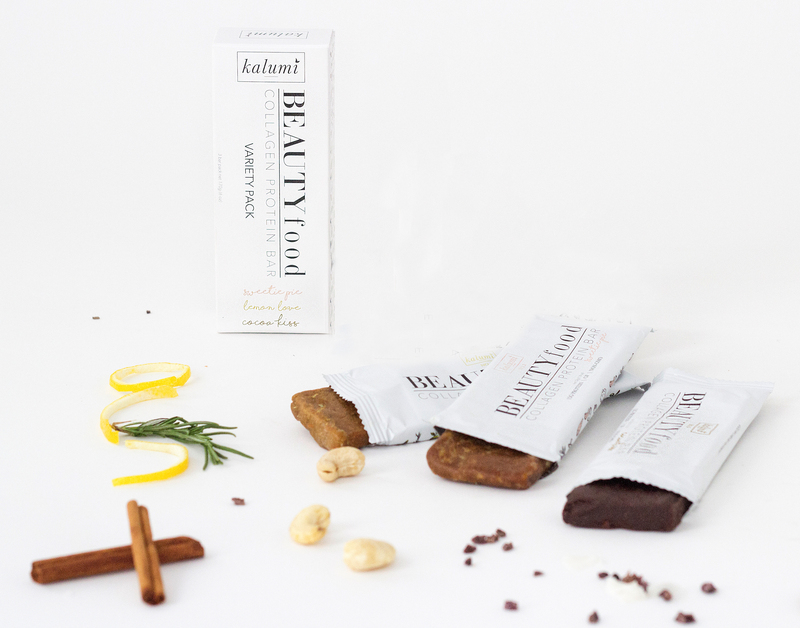 Lemon Love Marine Collagen Bar INGREDIENTS: Cashew, Hydrolyzed Marine Collagen Peptides, Yacon Syrup, Sweet Potato, Cocoa Butter, Tapioca, Vanilla, Rosemary, Lemon, Sea Salt. 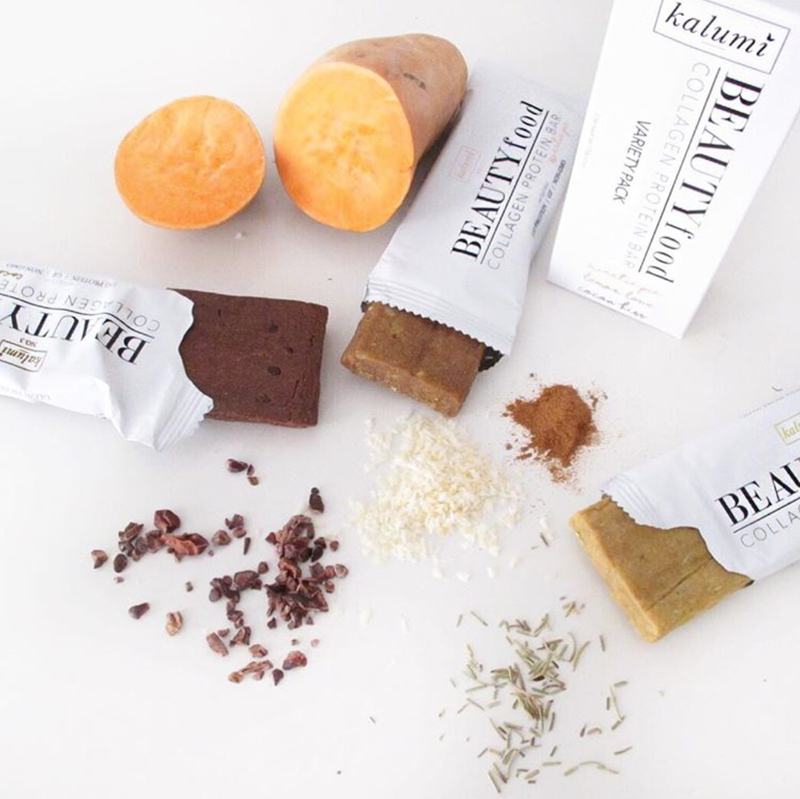 Sweetie Pie Marine Collagen Bar INGREDIENTS: Cashew, Hydrolyzed Marine Collagen Peptides, Yacon Syrup, Sweet Potato, Cocoa Butter, Tapioca, Coconut, Vanilla, Cinnamon, Sea Salt. Cocoa Kiss Marine Collagen Bar INGREDIENTS: Almond, Hydrolyzed Marine Collagen Peptides, Yacon Syrup, Cocoa, Tapioca, Cocoa Butter, Cacao Nibs, Sweet Potato, Sea Salt.